My sons love this soup and it is special to me because my mother made it. I still have her handwritten copy which has yellowed with age and use over the last thirty years. My mom passed away this year on St. Patrick’s Day. I miss you mom! Recipe to follow and the finished product. Yummmm! Bring first three ingredients in the 2 cups water boiling for 5 minutes in a saucepan. Drain and set aside until broth is ready. Saute white onion in butter in your large soup pot. In the meantime, have milk and broth blended and bring to a boil in microwave or another sauce pan. Whisk flour into the onions. Stir milk and broth briskly into flour onion mixture with whisk. Add Cheez Whiz, Cayenne, Mustard and Salt and Pepper if desired. Stir until blended then add vegetables. 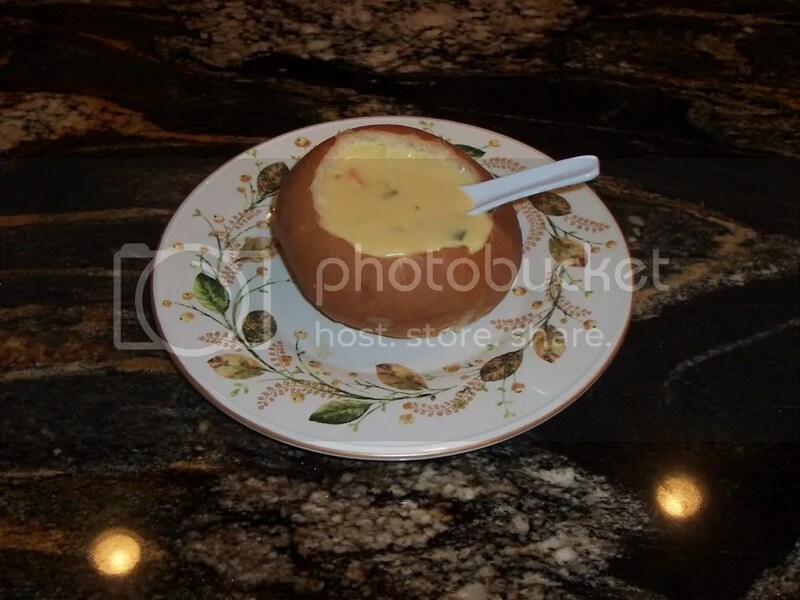 Serve in Bread Bowl or alone. 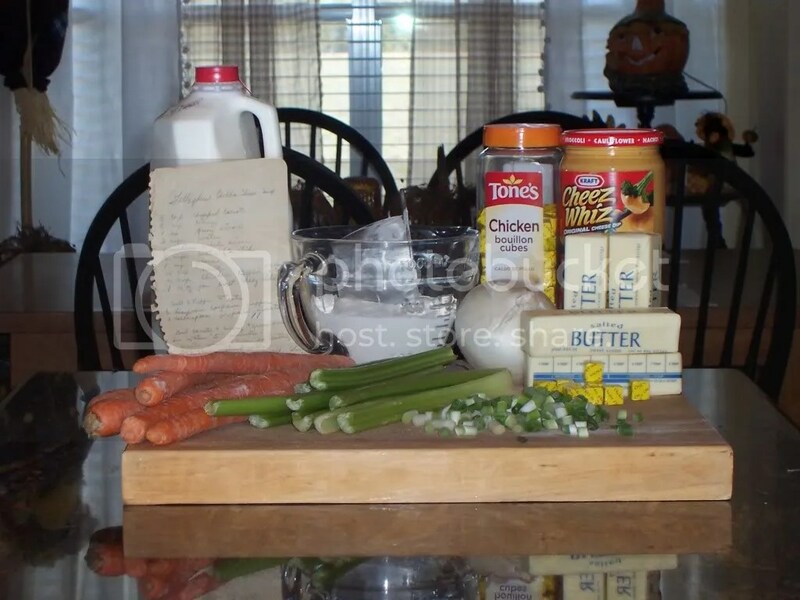 Wow Cindy, even u and ur mom had similar handwriting…Im making this soup this weekend…I remember Martha making cheese soup one year for one of our get togethers and Ive never had it since. This recipe seems simple but the finished product looks o soooo delicious. I hope mine is as good as yours!! Luv n hugs my friend! I made the soup today. O my was it delicious n easy to make! Thanks for sharing! Hi Tammy, I am so glad you like it. There was a restaurant by the name of Gallagher’s in the 70’s. I think that is where my mother got the recipe. They served it in pewter bowls with handles and a loaf of rye bread with real butter. The soup freezes well, too. Enjoy!